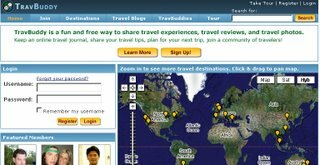 Travbuddy is a travel social network site. People join it and exchange their different travel experience to each other. You can upload photos, write blog or travel journal. You can creat personal group, and mark your travel map.